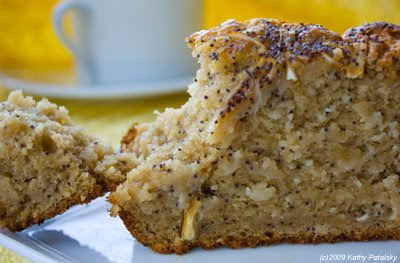 If you're still using applesauce as your egg-replacement filler in egg-free baked goods, listen up! I'm going to share with you my secret for getting thick, sponge-perfect, moist and fluffy breads, muffins and cakes. "Just one egg won't hurt!" Says my sister. "How else will the cookies firm up?" She says as we bake my vegan peanut butter cookies. I roll my eyes. "One egg and I won't eat them." I stubbornly reply. Because one egg, and they aren't vegan. No More Applesauce. Yippee. No applesauce, potato starch, fruit puree or tofu puree required here. OK, so all of these are fine fillers. I use them all. But I have an even better secret for giving muffins, cookies, breads and cakes a firm fluffy texture every time. Vital Wheat Gluten is the vegan bakers secret for firm, fluffy baked goods. High in Protein. The best part is that VWG is even incredibly high in protein. So it not only adds body to your cookies, cakes and breads, it also adds protein. And it doesn't mess with the taste of the recipe. I usually use about 3 tablespoons per loaf, in a bread-pan recipe. But you can add more if you'd like. Instructions can be found on the box. But the 3 tablespoon rule has worked for me! Well have you heard of seitan, aka wheat meat? Well, seitan is made from vital wheat gluten. You can even make your own at-home seitan using dry VWG! And VWG is basically what it sounds like. It comes from wheat. Description by Arrowhead mills: "Gluten is the natural protein portion of the grain and is separated from whole wheat with pure water." Warning: Obviously if you are like Elisabeth Hasselbeck on The View and have celiac disease, do not eat VWG. VWG is not for a gluten-free diet. Bummer.